This project addresses the formation of defects in parts manufactured from polymer matrix continuous fibre reinforced composite materials. 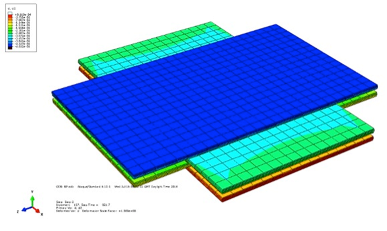 Predictive numerical models will be developed to study the effect of variability in the defect formation process. Finally the collective learning from the experimental and numerical work will be used to develop strategies to mitigate against defect formation during manufacture. The key focus will be on out-of-plane waviness, which is the end result of a complex interaction of factors. 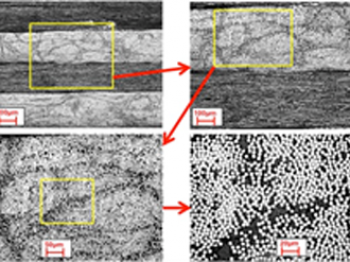 An experimental and numerical programme is being undertaken to explore the compaction behaviour of carbon fibre prepreg material under processing conditions consistent with automatic fibre deposition, hot debulking and pre-cure consolidation in an autoclave. 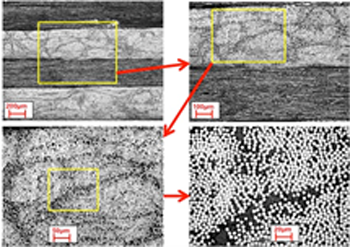 Two main concurrent deformation mechanisms were observed in a bespoke experimental programme; shear flow, where the laminate behaves as a highly viscous incompressible fluid, and percolation flow where the pressure gradient causes resin flow relative to the fibres. An analytical model, based on micro-structural considerations and addressing the percolation/shear flow transition, was developed. The flow transition is a complex process, occurring at various scales and associated with high heterogeneity of the pressure distribution within a single ply and/or fibre tape. The chosen resolution of the model is at the tape level since the end target of this work is the characteristic scale of fibre wrinkle formation. It is not possible to capture the flow transition at this scale structurally. Hence a pragmatic concept is needed. The transition from shear flow to resin bleeding is considered as an event rather than a process. It is postulated that there exists a critical shear at the flow front at which the squeezing flow appears to be blocked. Upon this blocking, resin loss is considered to be the result of bleeding along the fibre channels, which makes squeezing and bleeding models compatible. Hence, before and after the transition, the model material response is described by conceptually similar equations. The model then only needs the input of three parameters that can be determined relatively easily from one single compaction test. 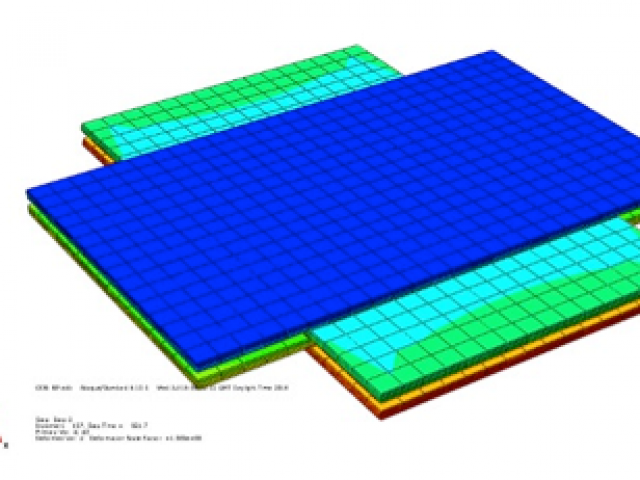 Simulations of the experimental programme were performed using the material parameters derived from the experiments. The tape dimensions and initial fibre directions were input as material parameters. This introduces some level of nonlocality into the model as the behaviour of one point in a ply is made dependent upon the geometrical and mechanical characteristics of the ply it belongs to. An excellent match between experiments and FE predictions was obtained. Proper model comparison against more complex geometries is now needed to fully validate the model.